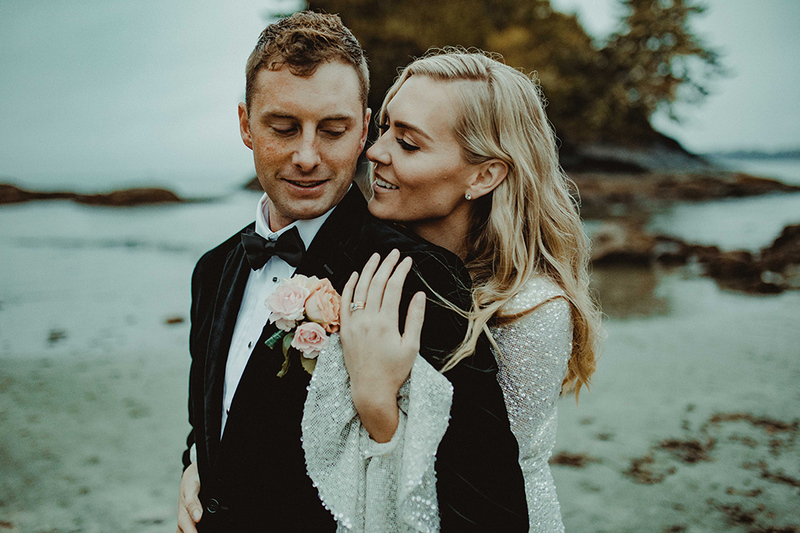 Kady and Tavish got married this October with a true rustic west coast ceremony in Tofino, BC. With just their immediate family and closest friends you can see the pure love and crazy connection these two love birds share. Kady came in to Rituals as a bride and left with a job as a stylist. She is one those people whose warmth and genuine nature just draws you in. Her eye for detail and creativity is what we love! She is a talented designer at heart and has made a variety of veils and bridal overskirts for many of our own brides. She is also a wedding photographer and styled her own gorgeous wedding with @covet.design and @MeghanHemstraphotography. Kady looked like she was covered in stars in our hand beaded Icarus wedding gown. Enjoy a few stunning photos of this blue eyed beauty. Older PostHELLOOOO FLORA ... Rituals Latest Collection!